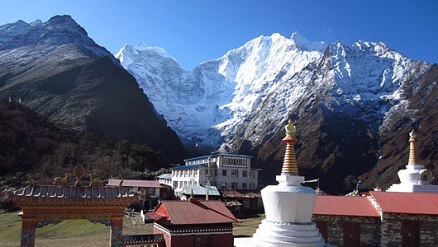 Makalu is an outstanding region in the eastern of Nepal which offers a combination of rich culture heritage, unsurpassed beauty and biological diversity. It is a very isolated and non-tourist area. 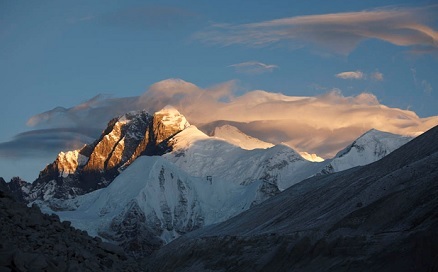 Makalu is the fifth highest mountain in the world at 8463 m. It is located in the Mahalangur Himalayas 19 km southeast of Mount Everest, on the border between Nepal and China. 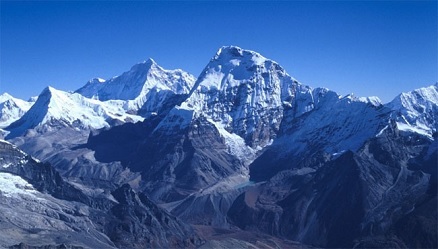 Makalu is an isolated peak whose shape is a four-sided pyramid. 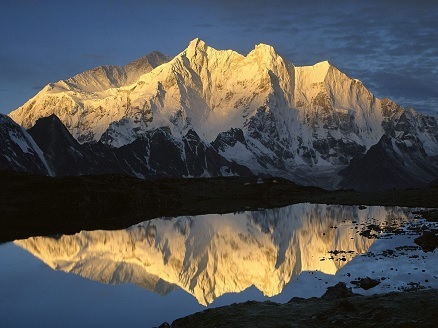 It is situated in the Makalu Barun National Park, the eighth national park in the Himalayas of Nepal which was established in 1992 as eastern extension of the Sagarmatha National Park. The protected area extends to about 66 km from west to east and to about 44 km from north to south. 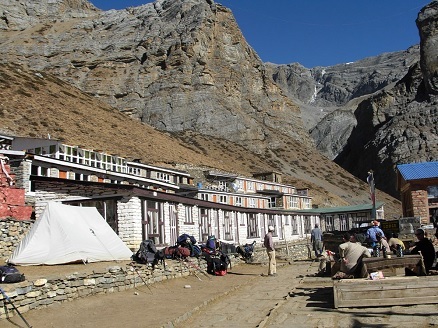 The trail follows the Barun river valley in the Barun National Park, crossing the Shipton pass at 4127 m before arriving at the Makalu Base Camp at 5000 m, from here views of the south face of Makalu as well as Everest and Lhotse are outstanding. The Makalu Barun National Park exhibits a high diversity of forest types that are characteristic for the Eastern Himalayas, ranging from near-tropical monsoon forest on 400 m altitude to subalpine conifer stands on 4000 m altitude. Forest aspects vary depending on seasonal moisture availability, temperature and snow cover at different elevations and slopes. 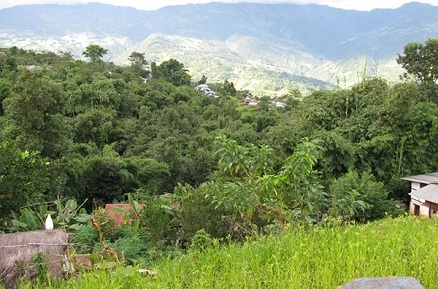 Forests below 2000 m are strongly affected by subsistence agriculture, so that only some ecologically significant stands remain there. 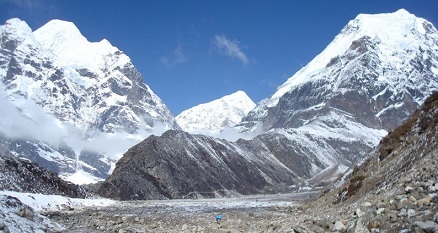 Makalu region is different in many ways even it is very close to the Everest region. 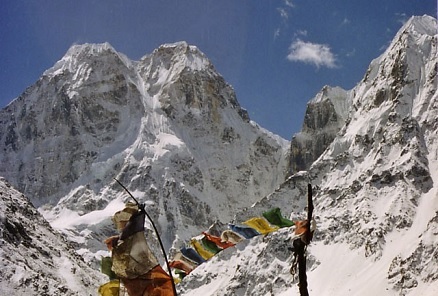 Sherpa people live at higher elevations and follows Buddhist traditions. Rais, follow and practice an ancient religion, which reinforces them to live in harmony with nature. In lower elevations live different ethnics including Tamang, Magar, Gurung, Newar, Brahmins, and Chhetris. This region is culturally rich but economically poor and isolated. 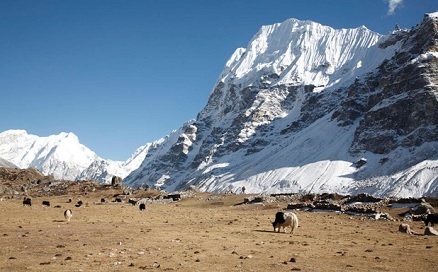 - Day 1: Kathmandu to Tumlingtar 360 m by flight (45 mn). - Day 2: Tumlingtar to Khandbari 1020 m (6 hrs). - Day 3: Khandbari to Chichila 1840 m (6 hrs). - Day 4: Chichila to Num 1500 m (5 hrs). - Day 5: Num to Sedua 1540 m (5 hrs). - Day 6 : Sedua to Tashigaon 2070 m (4 hrs). - Day 7 : Tashigaon to Khongma 3560 m (7 hrs). - Day 8 : Khongma to Mumbuk 3550 m (5 hrs). - Day 9 : Mumbuk to Yangle Kharka 3600 m (5 hrs). - Day 10 : Yangle Kharka to Merek 4570 m (7 hrs). - Day 11 : Merek to Shersong 4660 m (5 hrs). 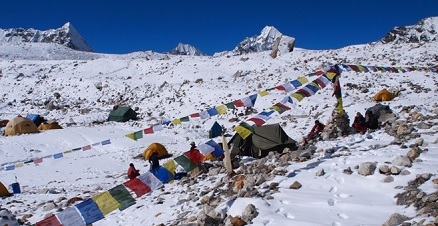 - Day 12 : Shersong to Makalu Base Camp 5000 m (5 hrs). - Day 13 : Makalu Base Camp to Yangle Kharka (5 hrs). - Day 14 : Yangle Kharka to Mumbuk (5 hrs). - Day 15 : Mumbuk to Khongma (5 hrs). - Day 16 : Khongma to Tashigaon (5 hrs). - Day 17 : Tashigaon to Num (5 hrs). - Day 18 : Num to Chichila (5 hrs). - Day 19 : Chichila to Mani Bhanjyang (5 hrs). - Day 20 : Mani Bhanjyang to Tumlingtar (5 hrs). - Day 21 : Tumlingtar to Kathmandu by flight (45 mn). Anyone in good fitness and who has previous experiences of trekking can make this challenging trek. The park is located in the eastern climatic zone of the Himalayas, where monsoon already starts in June and eases off in late September and monsoon clouds usually arrives in April. It is a camping style trekking.